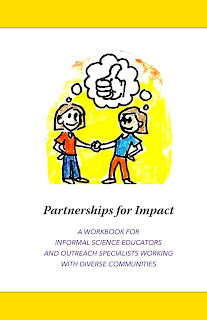 Community Perspectives: The Partnerships for Impact Workbook is here! THIS WORKBOOK FOR INFORMAL SCIENCE EDUCATORS AND OUTREACH SPECIALISTS WORKING WITH DIVERSE COMMUNITIES is now available for download! This workbook is a product of research conducted by the ICBOs and the Cornell Lab of Ornithology over three years, focused on how to create equitable partnerships between informal science institutions and community-based organizations in underrepresented communities.